This cartoon is in honour of Professor Peter Singer, the peerless embodiment of the logical fallacy of Reductio Ad Absurdum. 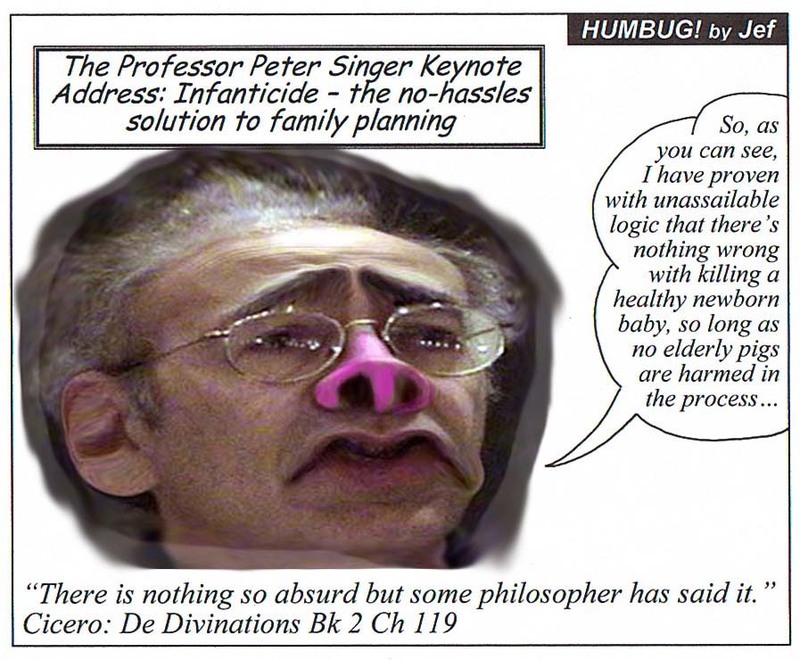 His premises and chain of reasoning lead him to conclude that it's OK to kill healthy newborn infants. Most normal people would re-examine their premises when confronted with such a manifestly absurd conclusion. But not Peter Singer. Is he too stupid to come in out of the rain or what? The answer has to be yes!